Poor Jarrod Saltalamacchia. He's go the Mackey Sasser disease and can't throw back to the pitcher. Seriously, I don't think anything scares major league players than getting caught up in their own head. Ask Rick Ankiel or Chuck Knoblauch. For a guy who has caught 57 passes total in the past two years, Roy Williams sure is chatty. If it's a year with a zero at the end, it must mean the Nets will win the lottery and have the first pick in the NBA draft. In 1990, the Nets won and selected Derrick Coleman (Ooops) and then in 2000, the Nets, with the first pick selected Kenyon Martin (Ooops redux). While both were decent players, they came with headaches and baggage. If the Nets win this time, the obvious pick is John Wall, who, lucky for them, is supossedly, a decent kid and human being. BTW, this NBA draft might be the most fun one in a while, name-wise at least: Al-Farouq Aminu, Ekpe Udo, Donatas Motiejunas, Hassan Whiteside and my favorite, Quincy Pondexter. Yahoo blogger "Duk" has a problem with Evan Longoria almost busting up Dallas Braden's no-hitter last week with a bunt. Why? If Herm Edwards is right and you play to win the game, then bunting is perfectly acceptable. Longoria owes Braden nothing but his sincere effort to win the game. If Longoria tanks it, then Braden didn't pitch a no-no. He got a gift. After practically buying a ticket back to Europe during the season, now Darko Milicic says he wants to return to Minnesota next season. My question....would Europe even take him? In an interesting article in the Wall Street Journal, writer Michael Salfino writes that in 130 starts for the Boston Red Sox, their ace got shelled in 31 of them—a "24% terrible-start rate." Considering the dude just signed a 64 million dollar contract, that news is music to Yankee and Ray fans everywhere. In "I don't know who my fans are at all" news, FOX decided that the show they are planning to run after the Super Bowl is...wait for it....Glee. Whaaaaa? Football and Glee—a match made in hell. Seriously, who does FOX think their football fans are? Pending Pinstripes has a great article on Phil Hughes fastball. For those who have watched him pitch, it's really an interesting read. The Notre Dame vs. the U. of Miami rivalry will continue in 2012. 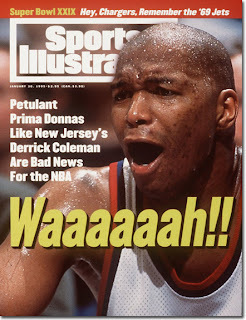 That might have been news in 1998, but now instead of "Catholics vs. Convicts", it should be the Mediocre Bowl. 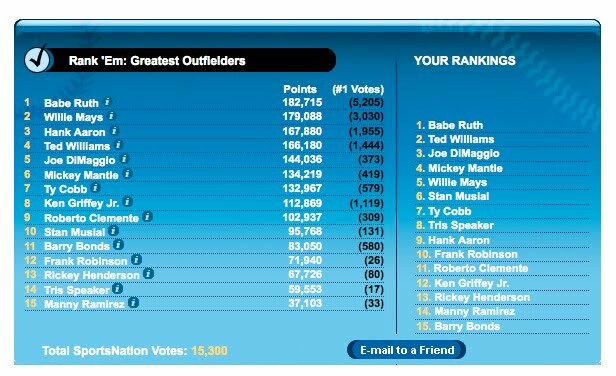 Love the fact that SportsCenter is asking the question where does Ken Griffey Jr. rank amongst the all time great outfielders—considering he played in the steroid era and held his own against some of the biggest juicers—but my problem is where people placed Tris Speaker. 14th? How? The dude batted .345 lifetime! he has more total bases than Lou Gehrig. He has a .428 lifetime OBP, which is 12th all-time. 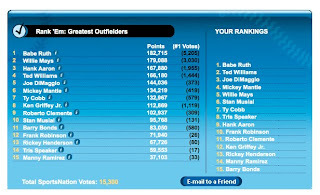 Sorry, but there is no way he's behind Clemente, Robinson and for godssake, Bonds. And lastly....I wish I had this guy umping when I was pitching. I think Fox is borderline genius with Glee. They already got the frau watching it, so if they can pull in a few more dudes... I won't be watching it,but a few might. Speaker has also held the all-time record for doubles and outfield assists for the last 80 or so years. All-around great.